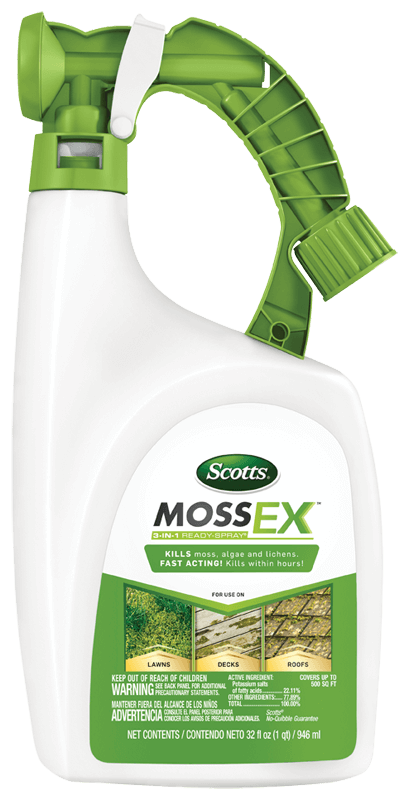 The fast-acting, Scotts® 3-in-1 MossEX™ Ready-Spray® kills moss, algae and lichens within hours. Use it on lawns, decks, patios, roofs and buildings. To apply - just attach a hose to the connected sprayer, turn on the water, and spray. Won’t stain concrete or other surfaces and can be used at any time during the year.